The Art of Naming: Celebrating One Year at The Art of Naming! 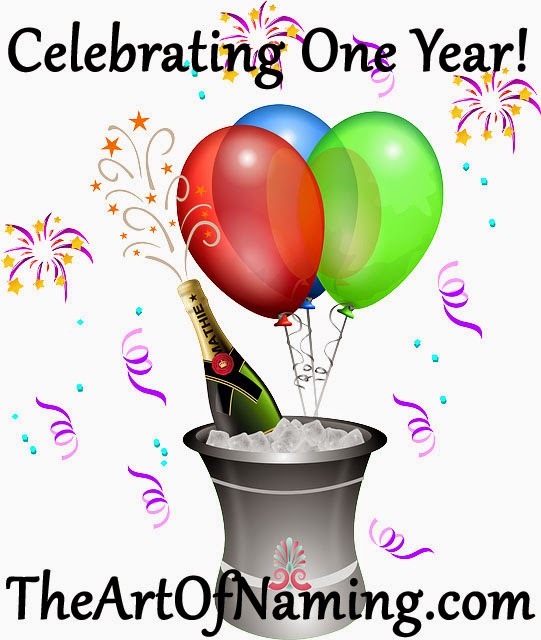 Celebrating One Year at The Art of Naming! It was one year ago today that I started The Art of Naming. Before I launched it, I was very actively searching for the perfect name for potential future siblings for my son. For years before that I was obsessed with baby names. I spent plenty of free time on forums and polls giving suggestions and advice to everyone that was seeking it. I couldn't tell you how many dozens of name lists I've made over the years. It came to a point where I needed to concentrate my obsession and The Art of Naming was born! Now writing blogs and answering questions is more like a part-time hobby to keep me busy while the baby naps. I enjoy coming up with new names to discuss with all of you. I wouldn't post this actively if it weren't for all of you who are there to read my thoughts. 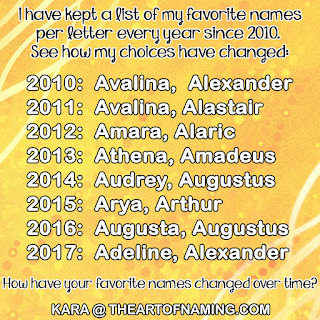 I can only hope that I've been able to help some of you to find the perfect name! I want to thank you all for visiting and for interacting with me on my various social media pages. Thanks also to the rest of the baby naming community for being so nice and occasionally sharing my posts with their own readers. It has been a great year and since I'm currently expecting baby #2, I'm already prepping blogs for you through the rest of this year! Don't worry, even though I'll be busier at home, I will still have plenty of blog posts for you to enjoy for as long as you continue to visit! Congratulations, Kara! I've enjoyed the blog over the last year - may there be many more. Congratulations, Kara! Here's to many more!